For some of us travel is a vice for anonymity and escape to punctuate breakups, career changes, midlife crises and retirement. For other overland journeys reveal deeper impulses of personal transformation – with people acquainting themselves with Eastern practises and mystical traditions of original peoples to find answers to happiness and harmony and bear light onto the ultimate mystery and sufferance of it all. Once again offering his distinctly ruminative and personal account of the wanderlust filled world of international budget backpacking, Beat Zen and the Art of Dave consolidates McNamara’s unique voice in the stereotypic genre of travel writing by. Beat Zen and the Art of Dave is the playful and referentially titled follow up to McNamara’s first travel memoir, Loves, Kerbsides and Goodbyes. 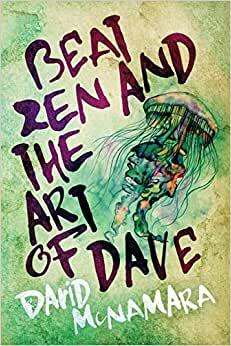 As the title suggests, Beat Zen and the Art of Dave draws upon a privileged insight spanning a decade and a half to expound on the shifting ideals and motivations behind the ever expanding popularity of shoestring travelling. The book examines McNamara’s incurable desire for travel by winding past recollections dating back to his inaugural backpacking adventure in 1998, with trips as recent as last year to reveal deeper impulses of anonymity, escape, independence and personal transformation. By comparing the attitudes and impulses of the aging Lonely Planet generation to the new iBackpackers, he exposes the darker side of wanderlust through the delusions, fallacies and inherent detachment ignored by travellers, but which accompany any obsession. McNamara credits the ancient connection between travel and spirituality and lays a foundation of various mystical and unorthodox philosophies to address the current climate of spiritual curiosity in our digital world. As more and more people return to Eastern practises and mystical traditions of original peoples to find answers to happiness and harmony Beat Zen and the Art of Dave discusses the conundrum of travellers seeking enlightenment in the less familiar when mobile technology keeps us tethered to all that we left behind. Finally, McNamara returns to his signature preoccupation with goodbyes to confront the sacrifices of his own itinerant lifestyle, and the uncertain end to his first committed relationship as his girlfriend looks to embark on her own travels upon graduating university. At its essence Beat Zen and the Art of Dave is mediation on the modern vagrant and wayfaring lifestyle. And with broad appeal and candour it elucidates the perils and rewards of self exploration and discovery often ignored in everyday life, but which find a home in the dislocation of time, distance and freedom of the open road. As an author, artist, pilgrim and wayfarer, David McNamara has been spinning tales of adventure and yarns of fiction for more than 15 years. Originally from Perth on the remote west coast of Australia, David's enchantment with movement was sown at an early age. But a European gap year in 1998 hooked David on backpacking, and independent travel soon turned into a Beat Zen way of life. The more places David visited, the more eager he grew for longer adventures and more remote destinations - trekking through the Andes, the Alps, the Himalayas and the Amazon; traversing the Mosquito Coast, the Trans-Siberian, the Silk Road and edges of Mesopotamia; sailing on Egyptian feluccas and Panamanian catamarans; crossing glaciers in Pakistan and deserts in Africa; visiting ancient archaeological sites around the world including Ciudad Perdida and El Mirador, surviving South East Asia hedonism, highway bandits and police corruption; hitchhiking across Mongolia, Tibet and Tajikistan; and road tripping around North America. Along the way David came to realise that journeying across vast continents via river, road, trails, rail and sea is not that different from overlanding it through life. With fortitude and passion, David's innumerable budget backpacking odysseys across six continents produced its own inevitability in 2011 with the release of his first book, "Loves, Kerbsides and Goodbyes". David has since completed his eagerly awaited second travel memoir titled "Beat Zen and the Art of Dave" in which he's continually discovering new places and cultures, and meeting new and fascinating people. David continues to live a life on the open road, gathering material for a third travel book while working on two books of fiction. When he's not seeking out an untold story, he's heading towards an unknown destination over the horizon - enjoying being lost in the spaces between places. I have just read Beat Zen and the Art of Dave and found it fascinatingly different from the usual travel narratives. I was surprised at the really direct and clear writing style and at how different this book is from everything else I read. It was like discovering a favorite film that no one else has heard of. I highly recommend it for anyone interested in travel and trying to find a deeper connection to life. There's a free-spirited adventurousness such as you find in Jack Kerouac's On The Road. The book is resonant of life on the road in the present era similarOn the Road to how On The Road reflected that of its own era more than half a century ago. Now I'm going to check out the author's first book Loves Kerbsides and Goodbyes - what an intriguing title! Hey Great Read! Been really waiting for this since I read David's first book LOVES KERBSIDES AND GOODBYES. I find BEAT ZEN AND THE ART OF DAVE is a great follow up. Well worth the wait. It fills in gaps and takes readers on a whole new journey. And it's also a life journey as well as a geographical journey. I heard David talking travel recently on Radio ABC 720 with Jamie Burnett and he's really really knowledgeable about world and independent travel. You find some amazing characters in his book as well fascinating accounts of travel in the furthest reaches of the globe. Just read Shantaram and if you liked that you'll love this book. And it'll give you a whole new insight into the world of independent travel today. I have been waiting for the follow up from Loves, Kerbsides and Goodbyes for quite some time and Beat Zen and the Art of Dave was certainly worth the wait. Once I started, I couldn't put it down! Dave/ David thank you for taking me on another journey and enabling some self reflection along the way. Definitely a must read. I've been waiting for the author's followup since reading Loves, Kerbsides and Goodbyes - and it didn't disappoint. It was like discovering a favorite film that no one else has heard of. I highly recommend it for anyone interested in travel and trying to find a deeper connection to life.